Pyrotect’s Patented SA2015 Pro Airflow composite helmets are unmatched by the competition. 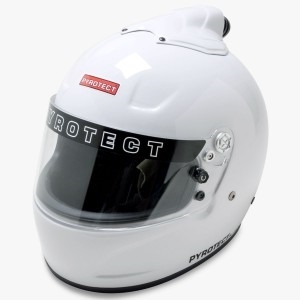 The Pro Airflow SA2015 helmets come with a unique six pad interior system which allows for resizing the helmet for a perfect fit along with corrugated ridges which allows for better heat transfer to keep you cooler and reduce fogging. The Pro Airflow helmets are vacuumed bagged and autoclave cured for superior helmet strength and durability while keeping the helmet as light as possible. This exclusive design helps reduce fogging along the front and top venting to keep you both cooler and more comfortable. The (TFA) flows air down two ports into the front of the helmet as well two additional top ports flow air down the uniquely designed corrugated head liner for maximum cooling.